PULLMAN, Wash. – There’s a growing demand for graduates in agriculture, and students who invest two years at Walla Walla Community College or Yakima Valley Community College can transfer to several ag degree programs at Washington State University. The latest collaboration builds a bridge from Walla Walla’s enology and viticulture program or Yakima’s vineyard technology program to the viticulture and enology program at WSU Tri-Cities and WSU Pullman. The partnership provides a geographic advantage for students seeking hands-on experience in the heart of southeast Washington wine country. “This agreement creates an ideal framework for students to transition seamlessly into WSU’s viticulture and enology program,” said Ted Baseler, president and CEO of Ste. Michelle Wine Estates near Seattle and a member of the WSU Board of Regents. Students who begin at YVCC or WWCC and transfer to WSU in the next several years will be some of the first to experience their education at the WSU Wine Science Center. 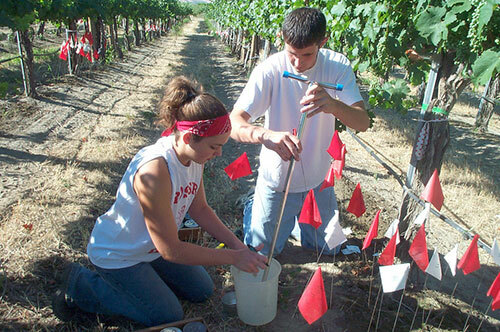 Research and teaching at the center will be specific to the challenges and opportunities faced by grape-growers and wine-makers in the Pacific Northwest. When the center opens in early 2015, it will be the most technologically advanced wine research and education center in the world. • Turf management to turfgrass management. “Students who start their educational career at WWCC are saving a significant amount of tuition money while taking advantage of our unique hands-on teaching approach and learning from instructors with a diverse perspective on industry,” said Jessica Gilmore, dean of WWCC. According to the Bureau of Labor Statistics, the U.S. is expected to employ approximately 42,000 people in agricultural and food science fields by 2022. The unique relationship between the colleges and university has established a streamlined pathway for the transition. “We’ve worked with students from both WWCC and YVCC who are starting their careers at WSU, and knowing that our courses align has made the transition effortless,” said WSU academic advisor Cristie Crawford. Crawford said further partnerships with YVCC, Wenatchee Valley College, Columbia Basin College and South Seattle Community College are also under way. Learn more about Yakima Valley Community College at http://www.yvcc.edu/Pages/default.aspx. Learn more about Walla Walla Community College at http://www.wwcc.edu/CMS/. 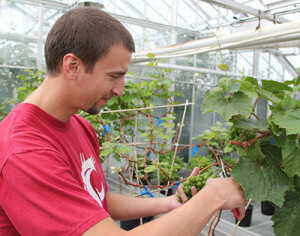 Learn more about the WSU College of Agricultural, Human and Natural Resource Sciences at http://www.cahnrs.wsu.edu.